Yemen’s civil war is a stew of local and foreign interests, from Washington, Saudi Arabia to Iran. And the latest battle may cost the lives of hundreds of thousands of civilians, if not millions. I am a scholar who has studied Yemen and worked as an Arabian Peninsula foreign affairs analyst for the State Department between 2011 and 2016. 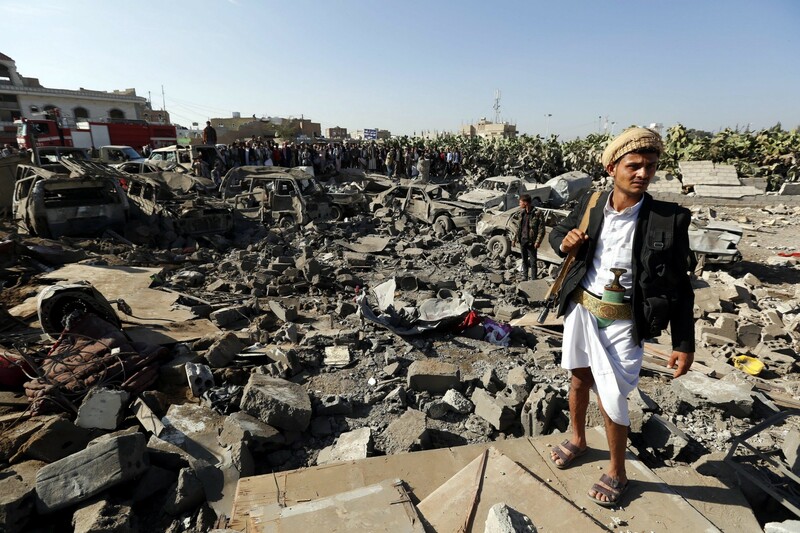 Here is what is happening in Yemen, now in the fourth year of a civil war. 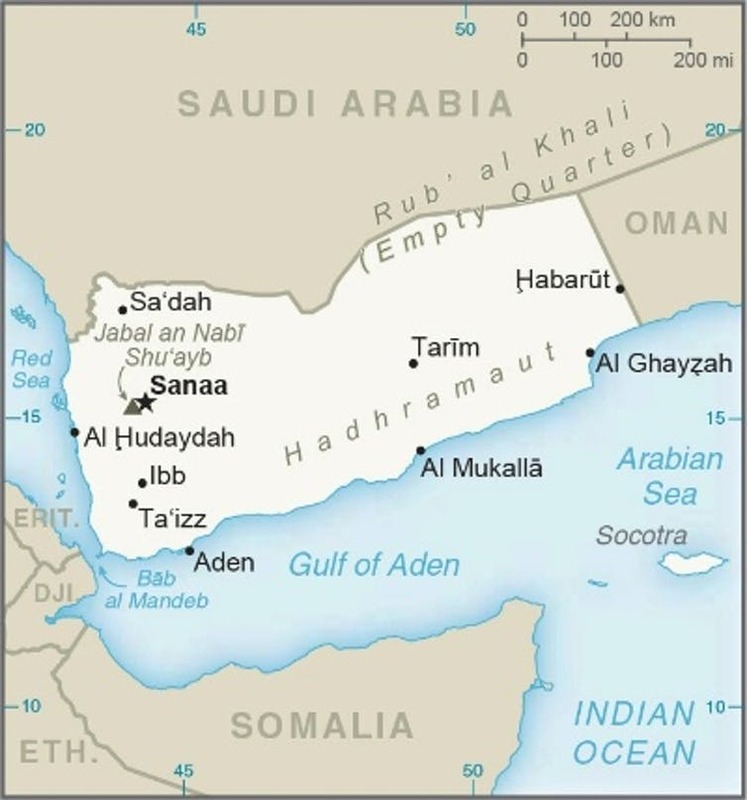 Yemen lies on the southeastern edge of the Arabian Peninsula, buffered by the Red Sea and the Gulf of Aden and bordered by Saudi Arabia and Oman. About 29 million people call Yemen home, and they are the poorest in the Middle East. Portions of the nation have a history of British and Ottoman colonial rule, it was divided into two separate countries and two civil wars – on top of the current one – have been waged since the early 1960s. To understand the current conflict, which began in January 2014, it’s necessary to know something about the Huthis. The Huthis are a Zaydi Shiite political movement. Zaydi Shiite Muslims are around a quarter of Yemen’s population. Zaydis led much of Yemen until the 1962 overthrow of the Yemeni ruler. 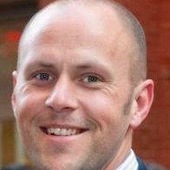 The government has since repressed their home region economically and culturally. More recently, the government has charged that the Zaydis are proxies for Iran and an existential threat. As a result of the popular uprisings unleashed by the Arab Spring, an internationally backed transition removed Yemen’s autocratic President Ali Abdullah Saleh in 2011. The transition consisted of what was called a “National Dialogue,” inclusive of all parties, that would provide recommendations for reforms, elections and the eventual writing of a new constitution. The Huthis initially participated, but became disillusioned. 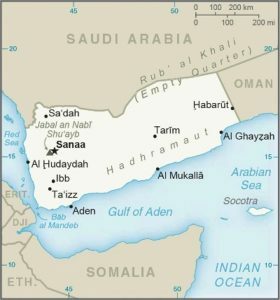 So in 2014, disappointed that the transition had forced out Yemen’s president but failed to enact meaningful change, Huthi rebels began moving southward from their northern Yemen stronghold of Saada. They captured the capital of Sanaa in September 2014. This wasn’t the first Huthi-government clash. Between 2004 and 2010, there were six rounds of fighting, the last of which briefly saw Saudi intervention. The Huthis, allied for convenience with former President Saleh, quickly overran the capital and moved as far south as Aden in spring 2015. Yemeni President Abed Rabbo Manour Hadi fled to Riyadh. Iran has provided aid to the Huthis for some time and has increased its equipping and training of the group since 2011. The Saudis, viewing the Huthis as an Iranian proxy and fearful of an Iranian stronghold on its southern border, began an allied campaign against the group in March 2015. A coalition formed by the Saudis includes major United Arab Emirates participation and American intelligence, refueling and munitions. Washington’s main interest in Yemen stems from its goal of halting terrorism. Yemen is home to al-Qaida in the Arabian Peninsula (AQAP), so Washington seeks stability there in order to counter the AQAP threat. After pushing the Huthis out of Aden in 2015, the war stalled. Former President Saleh’s attempt to switch to the Saudi side ended in his late 2017 killing by the Huthis. The international community has voiced anger at continued Saudi bombing of civilian targets, leading to a failed bipartisan U.S. Senate attempt in 2018 to halt American military support. Corruption, high unemployment, water shortages and a high reliance on imported food had made Yemen an impoverished country even before the war. The war and subsequent Saudi blockade have only made things worse, crippling infrastructure and disrupting many basic services. The lack of sanitation services and clean water led to a recent cholera outbreak, with over a million infected and more than 2,000 deaths. Meanwhile, south Yemen, where some groups seek southern independence, is a jumbled political mess. U.N. peace efforts seeking a government return and Huthi disarmament have so far not succeeded and fighting has killed over 10,000 civilians. Yemeni government forces, with support from the United Arab Emirates and Saudi Arabia, recently began an assault on Hodeidah, the Red Sea port city, which the Iranian-backed Huthi movement controls. The assault marks an important point in the over four-year old civil war. 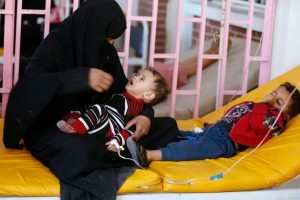 Hodeidah, a city of 400,000, is the only entry point for international aid due to a Saudi-imposed blockade. Things may get worse. The war has created a major humanitarian disaster with no foreseeable end.